Norway's capital city Oslo has various Viking-themed experiences suited to C&I groups. The Viking Ship Museum: The venue can be rented after hours for private guided tours or small events, catering for up to 100 for conferences. Displays include Viking ship discoveries from Gokstad, Oseberg and Tune as well as other finds from Viking tombs around the Oslo Fjord. 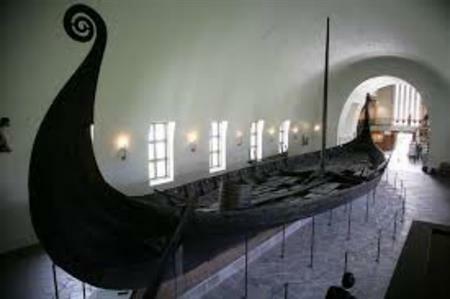 The museum also houses the world's two best-preserved wooden Viking ships built in the 9th century, as well as small boats, sledges, implements, tools, harness, textiles and household utensils. New Viking Museum: A new Viking Museum at Bygdoy, a peninsula on the west side of the city centre, has been commissioned. The current museum, designed by architect Arnstein Arneberg, will be a key part of the overall architectural solution, but the new facility will be three times larger than the existing museum in Oslo. In autumn 2014, a competition for the new building will be announced. Historical Museum: The museum houses Norway's largest collection of items from pre-historic times and the Middle Ages found in Norway. The Historical Museum is part of the Museum of Cultural History. The Antiquities Collection displays Norwegian antiquities from the Stone Age to the Middle Ages including outstanding Viking Age and medieval collections. Guided tours are available during the summer season.